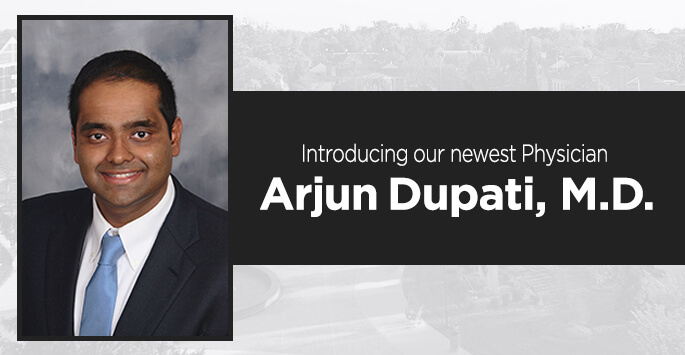 Arjun Dupati, M.D. is a Board-Certified Dermatologist and a native of Troy, Michigan. He graduated as valedictorian, National Merit Finalist, and National AP Scholar from Troy High School in 2006. He then matriculated into the combined BS/MD Medical Scholars Program at Michigan State University after being accepted into medical school at the age of 17. While in medical school at Michigan State University, Dr. Dupati was inducted into the Alpha Omega Alpha Honor Society, reserved for those students in the top ten percent of their graduating medical classes. After medical school, he completed a Transitional Year Internship at Beaumont-Oakwood Hospital. While at Beaumont, he served as Honorary Chief Resident and was awarded Intern of the Year. Dr. Dupati then completed his Dermatology Residency at the University of Michigan, where he served as an Academic Chair and as a Clinical Trials Research Resident. At the University of Michigan, he received extensive training from world-renown physicians in medical dermatology, surgical dermatology, cosmetic dermatology, and cutaneous oncology.